Do you have a calling to explore a new direction in your business? Need to bring a project into form? Are you on the cusp of a breakthrough? Need to vision what's next? ​Let's get to the truth of the matter. ​Running your own business can be overwhelming at times. Often, we need a safe space to get away from the noise, let our truth come out, and nurture it into being. and build momentum – while ENJOYing the creative process. INTERESTED IN COACHING WITH ME? Get your ideas out of your head and onto the table. This 60-minute session is a safe space dedicated for YOU to find the clarity and inspiration you need to cut through the haze and rekindle your inner fire. You'll leave with an inspired action step to keep your momentum going. Includes a 15-minute follow up call one week later to celebrate steps taken. An awareness-building creativity assessment to pinpoint your specific strengths, challenges, and past successes in relationship to your creative process. 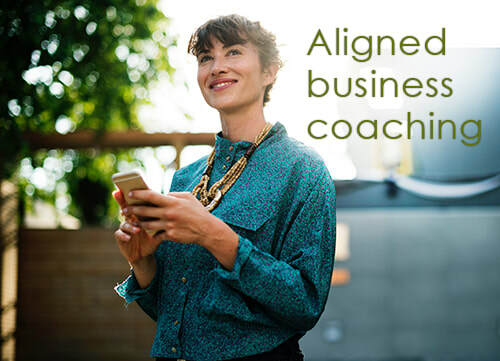 (4) 60-minute bi-weekly, private, customized coaching sessions to work through stuck points, tap into your intuition, explore creative exercises, receive gentle feedback, and create an action step to complete between each session. Eight weeks of unlimited e-mail access to me for quick questions, check-ins, gentle nudges, and high-fives to keep your momentum going in between sessions. Option to repeat/re-up for ongoing support. ​WHERE WE MEET: Sessions are available in person, by phone, or via an easy-to-use video conferencing platform (Zoom). AVAILABILITY: ​I offer a limited number of slots each month so I can give each client the attention she deserves. If you are interested in learning more, click the button below to complete a preliminary questionairre and schedule a 20-minute clarity call with me. This will help you determine if coaching with me is a good fit for you. WRITING: We practice writing in a stream-of-consciousness way that by-passes the thinking brain and gets to the heart. SAFE SPACE: I hold a safe, confidential space for you to go as deep as you need to. INNER GUIDANCE: I believe the answers are within you, and I'm here to help you get them out on paper. DEEP LISTENING: I will often ask you to read your writing out loud while I listen, so you can hear how it sounds in your voice. Instead of offering critique, I lift up what is powerful in your words. SMALL STEPS: I guide you through overwhelm by taking small steps, rather than leaving you with long to-do lists. Sometimes, I'll coach you to slow down, take a break, catch your breath. This helps you move forward. HONORING THE PROCESS: The creative process is non-linear. It takes surprising, unpredictable turns. However, if we persevere, the results will far surpass our wildest dreams. Having a trusted mentor there to witness your process and offer support is KEY to your success. INDIVIDUAL ATTENTION: I only take on a limited number of clients, so you receive the individual attention you deserve.